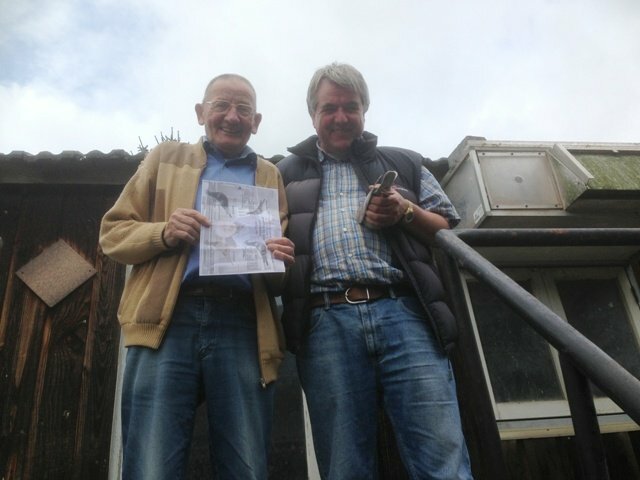 I recently visited Jan Theelen at his home in Buggenum, near Maastricht. 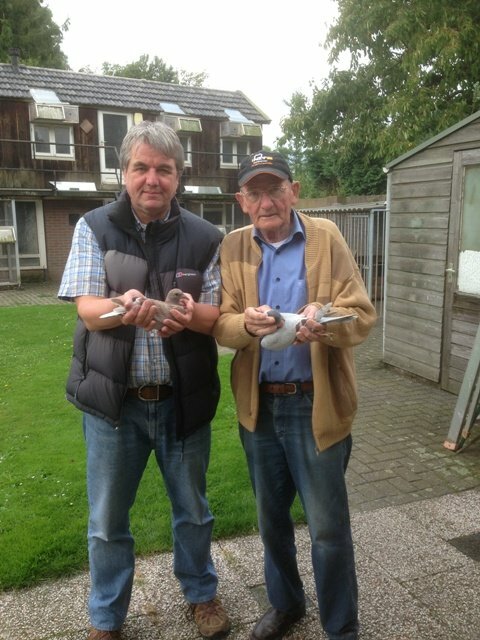 Jan is one of the Pigeon Sports true legends and all round great guy. Jan the former inn keeper is also known to like a beer and share a funny story or two…and although it was opening time on Saturday it was a little too early for me. We did however spend some time amongst his fantastic team. Jan’s is well known for his red line of marathon racers bred down over the years from the originals from Hermans of Luithagen crossed with other great birds notably from his famous neighbours the Kuijpers Brothers of Neer and tested at the very highest level. The results are well documented and respected. It was very pleasing to see the results of his life’s work in the lofts …descendants of ‘Fameuze 508′..’Vale Marathon’..’Baroemde 10′ …an experience I look forward to again very soon. Jan likes to share a joke or two…. 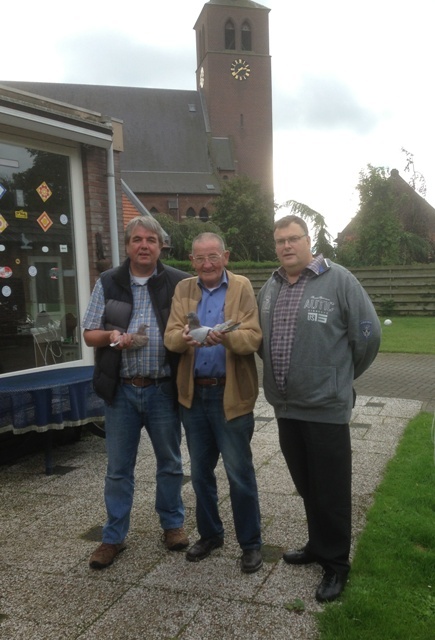 In the background is the famous church in Buggenum…on the right is Johan Van Boxmeer my great friend. I look in for one female pigeon with blood Vale marathon Jan Thellen. Can you answer me please. And how much it’s the price. Thank you very much. I am sorry but we have nothing for sale at the moment.